With spring around the corner, it’s important to get your heating and cooling systems prepared for the weather shift. 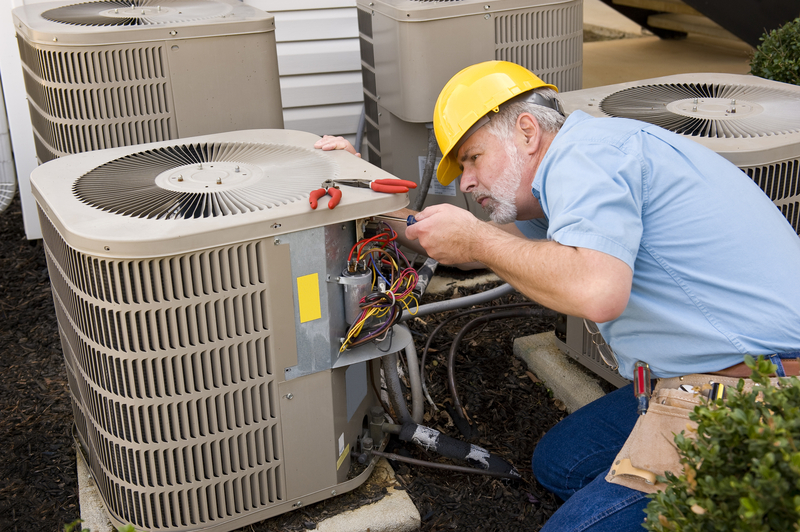 While an HVAC contractor is the best professional to help you take care of your systems, there are several things you can do to jumpstart the process. In addition to utilizing your local HVAC contractor, consider the following four ways you can get your heating and cooling systems ready for spring. As the weather begins to warm up, you may find yourself out and about more, whether it’s for a walk around the block or lunch with friends. A programmable thermostat lets you set the system to automatically come on or shut off once it achieves the desired temperature. Not only does this help your energy bills, but it also preserves the life of your HVAC system. Your outside unit should be cleared and cleaned to ensure it runs properly. Inspect the unit for any debris that may be hanging around, from leaves to small branches or twigs. Once free of debris, you’ll want to clean the coils of the unit to improve functionality. You likely haven’t run your cooling system since the summer, so test it out to make sure it runs properly before you need it. While spring days may still be cool, identifying a problem early ensures your HVAC contractor will have plenty of time to inspect and repair any issues you may be experiencing. Your filter helps keep dust particles and debris from coating the internal components of your HVAC system. It’s essential to change this filter every three months to keep your unit running smoothly. This spring, check your air filter and swap out for an efficient model to cut costs and keep your air clean. Whether you’re experiencing issues with your heating and cooling system or simply need a spring tune-up, trust the HVAC contractors at AAA Heating & Air Conditioning Service Inc. in Lexington, KY. For over 55 years, AAA Hearing & Conditioning Inc. has fulfilled the area’s HVAC needs, from general repairs to new unit installation. To learn more about this business, visit them online or call (859) 254-8838. Other Announcements, Events and Deals from AAA Heating & Air Conditioning Service Inc.
A. AAA Heating & Air Conditioning Service Inc.